Tom has been around the real estate world his whole life – growing up in a family-owned building business in Northern Virginia, he worked as a carpenter through college. After earning his Bachelor’s degree in Accounting from Virginia Tech, he moved to Virginia Beach and began his professional career as an Auditor with Price Waterhouse. His diverse client base provided experiences that have helped him numerous times to better serve his client’s needs. He earned the CPA designation in 1989 and after, Public Accounting. Tom was Chief Financial Officer (CFO) of a local Bank and Mortgage Banking subsidiary with operations in 5 states. He then became CFO and later Vice President of Operations of a Commercial Air Conditioning company and helped it to quadruple in size over his 13 year tenure prior to becoming a real estate agent. As a landlord for 20 years, Tom has bought and sold many properties himself and understands the joys and frustrations of buying, selling and investing in real estate. 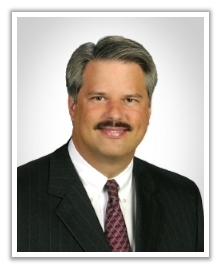 Tom brings a wealth of experience with him that helps him to serve his Client’s Best Interests. Tom’s strong financial and consulting background helps his clients better understand the critical financial aspects of their largest investment. His dedication to continued education keeps him up with current law, trends and technologies. Tom likes to spend his spare time outdoors – working on his properties, hiking with his wife and dogs or competing with his Border Collie, Flash, in Flyball competitions. Tom is the long-time President of Tidewater Dog Performance Club as well as giving back to the community as a member of Hickory Ruritan Club. Tom is dedicated to his client’s best interests and the professionalism they deserve. His ability to listen to his client’s wants and needs as well as desire to serve his clients has led him to the goal of Representing Your Best Interests in Real Estate.